Sure, people drool over the 1932 Fords. 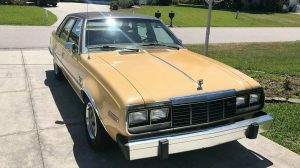 It was the first year of the Ford V8, and it had an all new body style. Well, if you like those, then this 1933 Ford Model BB truck hiding among a herd of desirable Volkswagens is sure to peek your interest. 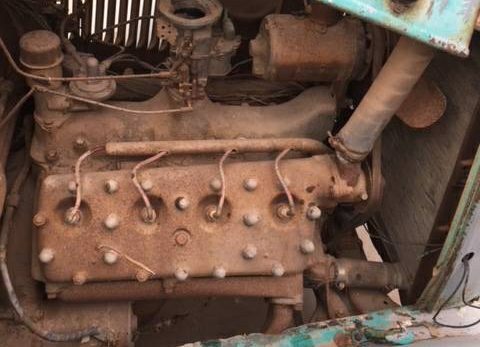 Beneath the louvers of this unrestored pickup is the original flathead V8, which in 1933 put out 75 horsepower, ten more than the previous year. 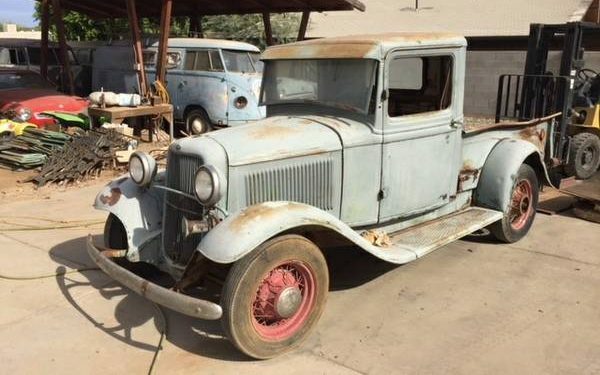 While this truck is going to need some significant work, it would be more than worth it to restore it to its former glory, or at least get it going in the shape it is in. You can buy this truck here on craigslist in Yuma, Arizona, for $10,500, but please don’t cut it up. Said to have been running when parked, the seller fails to mention when that was. They do say that the motor turns free and the spark plugs have a nice brown burn pattern on them. This 221 cubic inch V8 appears brown and red everywhere if you ask me, but hopefully it is all surface rust that can be easily taken care of. 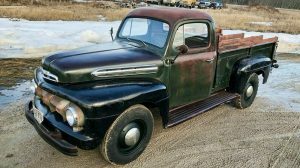 The seller states that several parts of this truck are in good shape, including the radiator and chassis. They are also including the seat and flooring, which appear to be missing in the available photos. Apparently the bed of the truck was used as a flower bed, which resulted in some extreme rust in that area. There also appears to be some fairly heavy collision damage to the bed, so hopefully your metal skills are on point, or know someone whose are. Regardless, this truck has a beautiful look, especially with those wire wheels, including the side mounted spare. I wouldn’t be surprised if this truck could be up and running with a couple weekends of work, but then comes the hard part – to restore or leave original? What’s your choice? Anyone else notice the four split window VW buses in the background. I wouldn’t be surprised if he gets more calls in those than the truck. With the condition of the truck and the work involved to get it presentable I would hotrod it, if I’m going to spend the time and money to get it where I’m not embarrassed to drive it I’ll do it like old Blue Eye’s sang it “MY WAY”. Just in the interest of acccuracy, a BB truck would be a 4-cylinder 1 1/2 ton chassis. One of our V8 lurkers can supply the correct model designation for a V8 1/2 ton like this one……. And buyer, please don’t hotrod it. they were actually a 1/4 ton them thar daze. note the grill on the ’33 Ford pickup is a 1932 ford passenger car- they used previous year grills on the trucks for some time. I’d love to make it tic again. betting a good wash and blow dry and it would look a lot better. worthy of restoration. 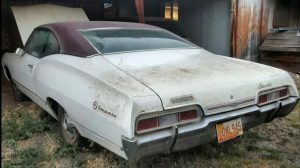 the good news is- these car’s are still out there hiding in someones barn. 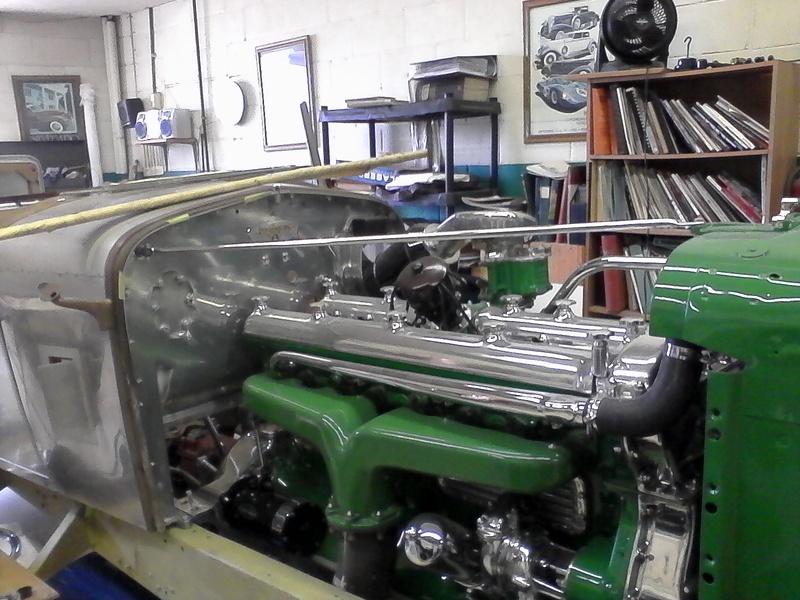 I would put the same motor back in it but with some old school mods that have the name Offenhauser on them. I’d have to try and make it a presentable, but not stock, restoration project. Nice paint, good mechanicals, custom interior. More like a really nice daily driver than a garage queen. The designation mentioned doesn’t make sense. The ‘BB’ represented a big truck, or 1 1/2 ton. A straight B designates a 4 cyl. 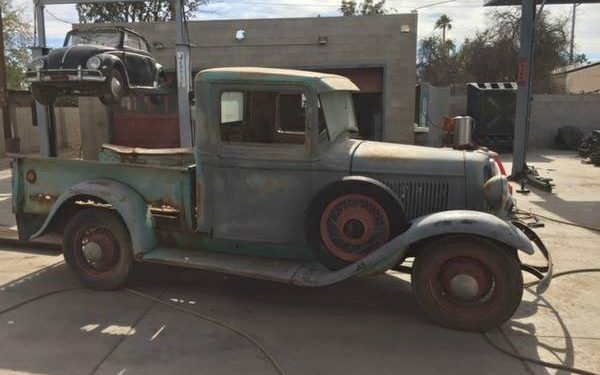 This one would be a Model 46, light truck. The original carb would’ve been a Detroit Lubricator single barrel. It looks like this one was changed to a (’34 – ’36) Stromberg 48 2bbl. It was common to change up to the 2bbl. because the furthest reaching cylinders from the carb tended to run lean. The hood sides would tend to confirm that this IS a ’33, as the ’34 included the Ford oval upper center of the side. Restoring this would be a given. I would settle for a repro box as this one has pretty much rusted away. The flattie can run very well just being blueprinted. I might be tempted to run aluminum heads, and even step up to a pair of Offenhausers. If I did that, I’d probably also run a Stromberg 97, or two. I met a guy driving a bone stock ’34 on the Going to the Sun Road a few years ago. 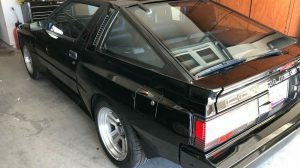 He had put 28K miles on it since a full restoration and it kept up to modern traffic with few problems. At the summit of the pass the flathead did start to push out some coolant but so did a couple of modern vehicles. Hey, lets put the “breaks” on spelling criticisms – haha. Might have been this one…well it immediately came to mind even if an earlier one. This type of truck is about to go sky high price wise, but only if it is in original stock configuration. You customize this vehicle and its price will plummet, and you will have shot yourself in the foot for sure. Robert G , I have seen several hot rodded pickups sell for considerably more than stock restorations. At Mecum Indy last year a hot rodded ’33 pickup was bid to $70,000. An auction result is a product of who is present and active at THAT AUCTION. Different bidders, different auction and you may have totally different results so it’s a mistake to generalize results. Frequently people will ask me what my car’s worth. I answer that it depends on where it’s advertised or marketed. A lot of investors here it seems…more so than actual guys that like to get their hands dirty building something. Chris…good catch….thought the same….nice truck at close to a good price…a later flat head Merc wouldn’t be toooo bad…. Commercial grille like it should….what…no one notice the convertible on the lift ? Bian, would you kindly explain why you referred to this truck as a Model BB? I would like to understand your reasoning. Thanks. Kool old truck ,always wanted one till I sat in one. These trucks are not made for anyone who wears a XXL.But if I was skinny I’d HOT ROD IT! !